At Mercedes-Benz of Draper, we don’t just sell the best luxury vehicles; we also provide an ownership experience that’s truly second to none. In fact, our many favorable online customer reviews speak volumes about the high level of service you will get. Plus, we consistently rank higher than our northern counterpart. So why are our online reviews so positive? All of this to bring you the vehicles you want, the value you demand, and the luxury you deserve! Our goal at Mercedes-Benz of Draper is to become the leading dealership in Utah for new Mercedes-Benz, pre-owned vehicles, service, and parts. We are proud to serve the local community with quality selection, and unbeatable customer service. We don’t just sell the vehicle that has become the symbol for automotive luxury; we provide an experience like no other. Our Draper dealership is staffed with highly-trained professionals in all departments who are committed to answering all inquiries and serving your automotive needs. If you have any questions, feel free to call us or simply visit our dealership at 11548 S Lone Peak Parkway. We’re here to help you and your family find your dream Mercedes-Benz. Miller was born in 1944 and grew up in the Capital Hill area of Salt Lake City. After graduating from West High, he married his high school sweetheart, Gail Saxton, and began working construction until 1964 when he went to work for American Auto Parts. After working at a Utah auto dealer, and later two Toyota dealerships in Denver, he became the #1 Toyota parts dealer in the United States and the first to hit $2M in sales. In 1979, Miller purchased a Toyota dealership in Murray and opened it as Larry H. Miller Toyota. In the years that followed, more dealerships were opened. Today, the Larry H. Miller Dealerships operate 21 different automotive brands under 55 dealership locations in seven western states! Mercedes-Benz of Draper is proud to be part of the Larry H. Miller group and we’re honored to also be part of his legacy. Learn more about the Larry H. Miller Group of Companies. With over 10,000 employees, the Larry H. Miller Group of Companies is among the largest in the West. Following our founder’s example, each Larry H. Miller venture, dealership, and nonprofit organization is heavily involved in its community. With so much evolving, changing and expanding since that first dealership opened its doors in 1979, one thing has remained constant: the continuing mission to exceed the expectations of customers, employees, and the community as a whole. Miller’s goal to be the benchmark for excellence in every aspect of business is what has moved the company forward over the past 35+ years. And it is this mission and philosophy that will undoubtedly move it forward for the next decades. 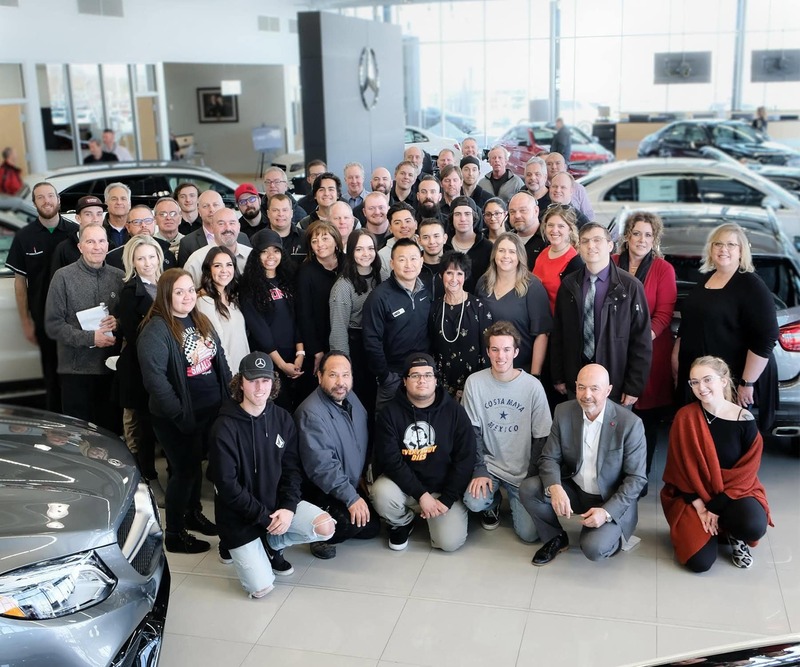 Let us introduce you to some members of our team so you can see who we are and what makes Mercedes-Benz of Draper both the only Mercedes-Benz dealership in Utah to receive the title of Best Mercedes-Benz Dealership To Work For and YOUR Mercedes-Benz dealer for life!